A cannoli is a classic Italian sweet treat, but today we're taking it to the next level. 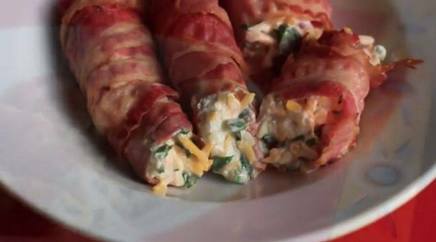 Test Kitchen Taylor Made Bacon cannoli shells and filled them with a BLT dip! Would you eat it? Ya, I would too!